When I initially came across Auxly Cannabis (OTCMKTS:CBWTF) in my research, it immediately caught my attention as it bridges together two of my favorite investment themes — streaming royalty payments and marijuana. As the first of its kind, the company provides funding to the marijuana industry, which can be very difficult to get for early-stage companies. In return for the funding, Auxly is entitled to royalty payments and/or a piece of the company. 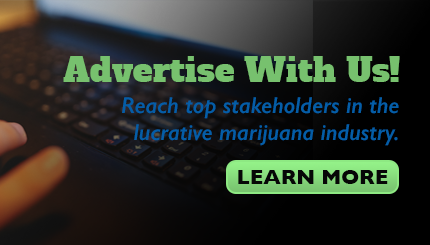 Through its investments in more than 15 different marijuana-related businesses, CBWTF is building a diverse portfolio that touches all levels of the industry. And as investors, we gain instant diversification and less of the company-specific risk that’s associated with investing in emerging companies. Here are some of the exiting things Auxly has been up to in the last couple of months. Earlier this year, the company announced that it had entered into a $15 million agreement to purchase an 80% stake in Inverell, a Uruguay-based company with the potential to become the world’s largest cannabidiol (CBD) producer. South America is an untapped region that could quickly become a bigger cannabis market than Canada as laws continue to change. Dixie Brands — the parent company of Dixie Elixir, a leading producer of cannabinoid-infused products in the U.S. — will go public in Canada this month. Auxly has an agreement with the well-known brand to exclusively produce and distribute Dixie products across Canada. Finally, in the most recent quarter, CBWTF reported revenue of C$512,000 versus zero — yes, zero — in the year-ago period. That number may not sound that big, but it marks the very first step in the process of realizing returns on the company’s multiple investments. What’s even more impressive is that CBWTF had C$236.9 million in cash and cash equivalents at the end of the third quarter. That money will be deployed to continue growing both the company and its partners. Despite these developments, the stock has struggled in 2018 as some of the moves that the company has made in recent years have been costly. Management was even forced to issue more shares. However, investors are often too short-sighted to see what CBWTF has really been building. The company’s business model of receiving streaming payments and partly owning the cannabis leaders of the future is intriguing and cannot be ignored. And when that type of business model is within one of the hottest sectors for the next decade, it makes Auxly Cannabis that much more attractive. I see significantly higher prices for this stock in the future. As long-term investors, this is an opportunity too good to pass up.